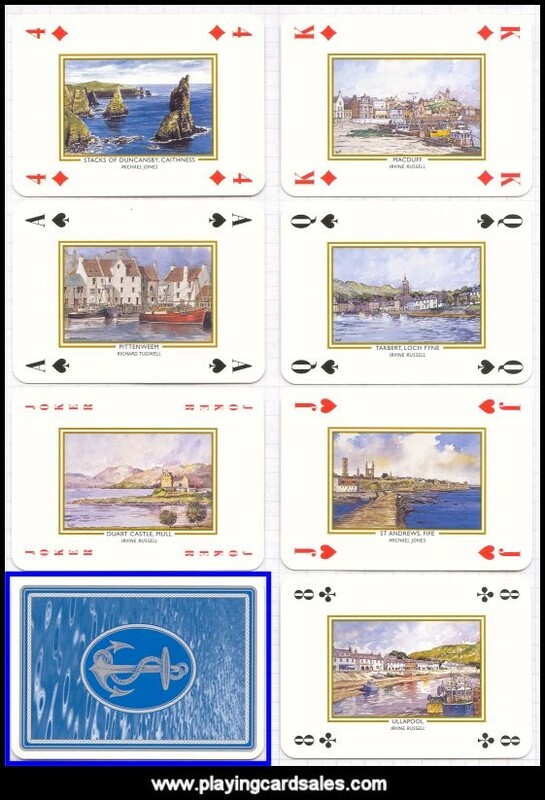 Each card shows a different fine art illustration of somewhere on the coast of Scotland. Places illustrated include Macduff, Tarbert - Loch Fyne, St Andrews - Fife, Ullapool, Stacks of Duncansby - Caithness, Pittenweem, Duart Castle - Mull and Eigg & Rhum. 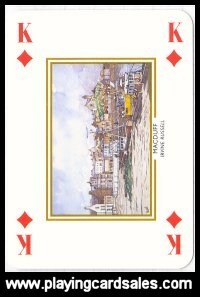 Artists include Irvine Russell, Michael Jones, Richard Tugwell, Alan Morgan, James Watson, Dorothy Bruce & John Bathgate.